Harrabic Tubman (Nancy Mansour Leigh) and M-1 (Mutulu Olugbala) from the hip hop group Dead Prez join us for our second segment to talk about Palestinian hip-hop and the Existence is Resistance project, which is currently organizing a tour of Palestinian hip-hop. 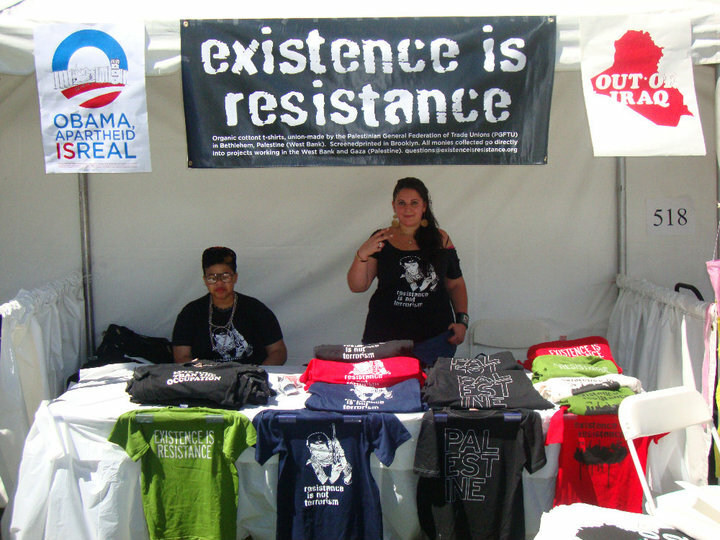 Visit the Existence is Resistance website for more information. in Palestine it is not easy to do your music and since it is still fresh we are in need for such kind of organaizations who help and support us, they onlye thing the young people have here to resist is to exist and if you want to exist you can’t keep silence about what is happening here in Palestine. much much respect for all these people who wided our minds and made us see that hope in the end of the cave. hip hop is not dead it lives in Palestine .